It's safe to say that us veggie gardener's could rattle on all day about the benefits of vegetable gardening - whether it to be to our mental health, physical health, environmental benefits or even just how home grown tastes THAT MUCH better. One thing we all seem to have varying opinions on is the method in which we garden. There are so many different styles to choose from, and some gardener's even incorporate them all in or switch it up yearly until we find what's 'just right' for us. 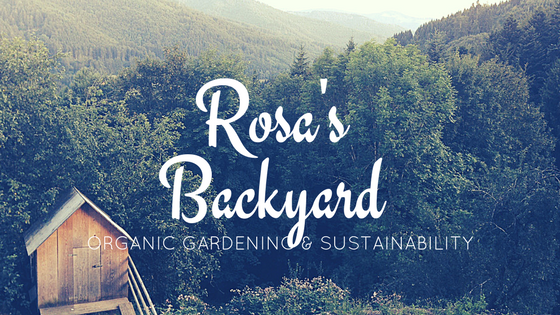 One I've recently found the beauty in, is raised bed gardening, and I want to share the benefits with you to help you make your decision! Fill up your garden bed with whatever kind of contents you want! Potting mix, fertilizers, trace elements, scraps, manure, organic materials - the list goes on. Say goodbye to soil correction forever. 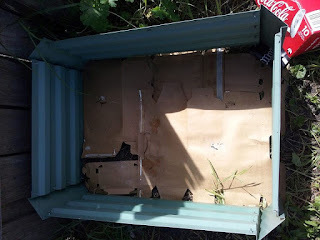 I lay cardboard under my garden beds which suppresses the grass and weeds below, before breaking down into beneficial content for my plants. No dig, easy disposal of the cardboard your beds came in AND free organic matter. Win, win, win. Of course, there's also no chance of ruining your yards soil structure when planting in built up beds! No worrying about soil erosion or soil compaction, either. Raised garden beds come in varying heights, so if you're not into bending right down to the ground all the time - this might be your answer. I had a little incident earlier in the year where our lawn mower stopped working, so we hired two men to mow our lawns after they left a flier in our letter box. The first warning sign should have been that they were offering to mow our whole front and back yards for $20. The second was that they came when we weren't here so that we couldn't get a receipt. The biggest red flag was when I went outside and saw that my entire vegetable garden had been mowed down. Fruiting tomato plants, abundance of beans, garlic that had been in for 6 months... everything, gone. I cried spontaneously for 2 weeks (you're allowed to laugh, I'm healed now). You're not exactly going to mow over top of a 30cm - 45cm high garden bed, hey. Benefit. It's easy to mow around. Goodbye pathway weeds, you can not reach me. Goodbye slugs and snails, you can reach me but I will see you climbing the side and put you on a dandelion. Basically, covering your seedlings with some bird friendly netting until they're big enough to defend themselves is all you'll have to do to protect your lovely veggies in a raised bed. So there's a few fabulous reasons to try (or stick to) raised garden beds this season! A brand I particularly like is Birdie's Garden Products which can be found at Bunnings or you can buy them from their website linked in the name, and use the code "birdies16" for 5% off your order! They sell great worm towers too, which you would have seen me post a few photos of on my Instagram. Please note this post is not endorsed or sponsored by Birdie's Garden Products and I am not affiliated with them in any way. Happy gardening and I'll see you next time! Awesome tips. I love growing vegetables, but I never have time to get the ground ready. I am going to give this a shot. Wish I could start gardening! We have a yard! But i love seeing little community gardens and this was interesting! Continuously check house deeds as some have contracts that identify with most extreme passable statures of patio nursery dividers.